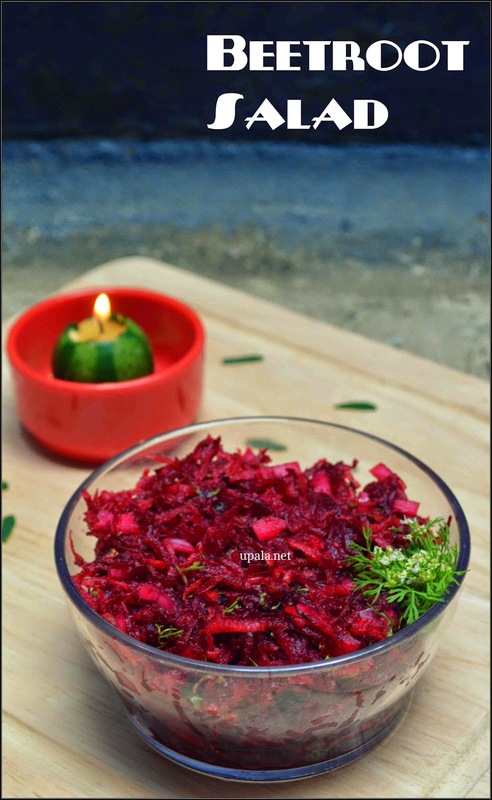 This Beetroot salad/Beetroot Kosambari is a tasty and healthy salad. 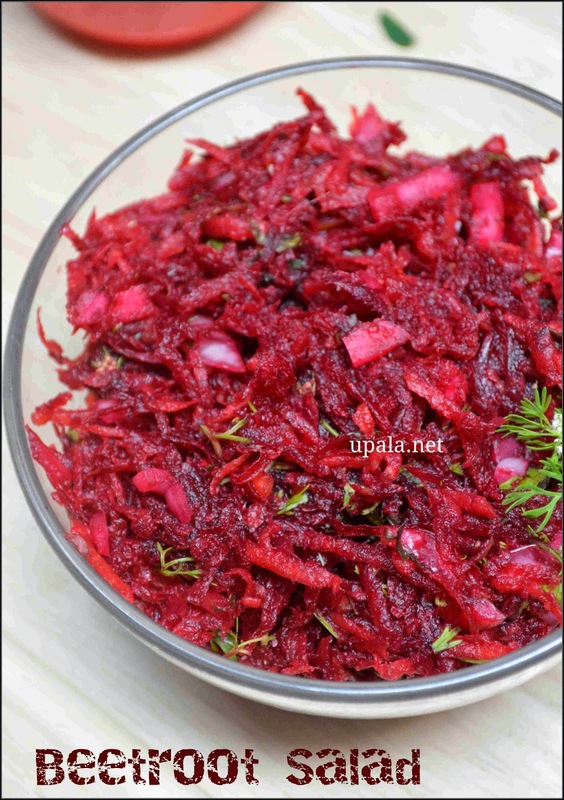 1) Peel the outer skin of Beetroot and grate it. 2) Clean Carrot and grate it. 3) Finely chop Onion and Tomato. 4) Mix all the veggies ( Beetroot, Carrot, Onion and tomatoes). 5) Add Coriander leaves, lemon juice, green chillies and salt . Mix them well.